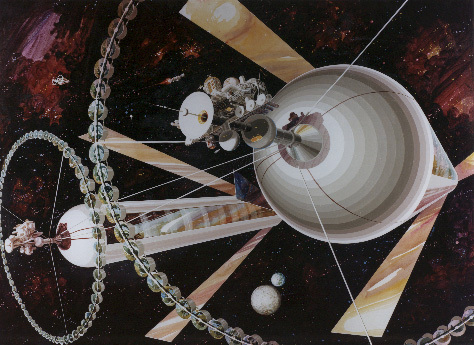 From NASA’s collection of 1970s space colony art. There are much larger versions available in their archive. Bonus link: the Living Room of the Future, 1979.